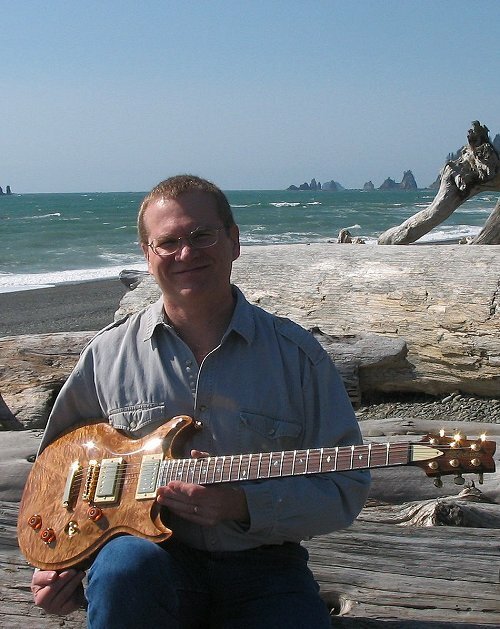 Hi I am Ernest E Roesler Jr, owner and operator of EER Custom, I have been working on guitars since I was a teenager. I could only afford cheap, used instruments then, like so many young players; however, they just didn't have what I was after so I set about modifying them and improving them. As time went by and I was able to afford better instruments, I still felt they needed improvement, so I set about making changes to them as well. When I had reached the limit of what I could do with mass market, manufactured guitars, I decided to start building my own and did that as a hobby and sideline for about 18 years. I also spent nearly two decades in the high-end wood working craft, during which time I learned a great deal about fine wood working and finishing techniques. Decades of experimentation and education in the craft have gone into developing my lutherie skills and techniques. Late in 2004, after spending 10 years in the high-stress computer industry I decided I needed to do something more fulfilling and less stressful. My love of the instrument, as well as an incurable need to be creative, led me to pursue the craft of guitar-making full time. Each instrument is lovingly crafted throughout the process—from the dream that inspires the design, to choosing the perfect combination of woods and components, the gluing and shaping, the finish that brings out the beauty of the wood, and finally the moment when the strings are in place and the instrument is checked for sound. We all want a beautiful instrument to look at, but let's be honest: we need the sound we've been dreaming of, looking for the thrill that we get when we touch the pick to the strings and actually experience it. I understand this desire for the perfect tone, and that you want more than a piece of art so I make every effort to design each guitar to not only look and feel beautiful but also produce the sound you're after, whether you're a shredder or a jazz guitarist, or something in between. That's the beauty of custom—each guitar fashioned one at a time, with you in mind. And so began this adventure of creativity that finds its culmination on the beautiful coast of Washington. What you see pictured here is only the beginning; I'm working on new designs even now and new models will be appearing soon.